Arsenal scored twice against Manchester United last night to condemn Jose Mourinho’s side to match an unwanted record. Remarkably, the Red Devils have now conceded as many home goals in the Premier League this season – nine – the same as they conceded all season at home last term. It’s been a largely miserable start to the 2018/19 campaign for United, who remain 8th in the table with a negative goal difference. Mourinho’s men could really have done with a win against Arsenal, but were sloppy at the back again as they conceded their 24th and 25th goals of the league season in total. That gives United the worst goals-against record of any team not currently in the bottom five in the Premier League. 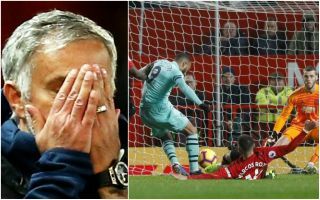 Something clearly needs to change this January, with players like Chris Smalling and Eric Bailly unconvincing for most of the season, while Marcos Rojo was badly at fault for the second Arsenal goal on Wednesday night.